TUESDAY, Sept. 12, 2017 (HealthDay News) -- Recurrent ear infections are the bane of many children -- and the parents who have to deal with their care. Now, research suggests that naturally occurring, "helpful" bacterial colonies in the ear -- called "microbiomes" by scientists -- may help decide a person's vulnerability to these infections. "The children and adults with normal middle ears differed significantly in terms of middle ear microbiomes," concluded a team of Japanese researchers led by Dr. Shujiro Minami of the National Institute of Sensory Organs in Tokyo. One expert in the United States said the study is an important first step in learning more about ear infections. "What this study tells us is that we have lots of bacteria living in our middle ears, regardless of whether or not we have chronic ear infections," said Dr. Sophia Jan, chief of pediatrics at Cohen Children's Medical Center in New Hyde Park, N.Y. "The study suggests that some kinds of bacteria don't seem to cause us problems when present in our middle ear." However, "we still have a lot to learn before we can apply this research to the treatment or prevention of chronic ear infections," she added. "We don't know if the bacteria found in 'healthy' ears can be problematic, for example, if present in higher quantities." Ear infections "are the most common reason parents bring their child to a doctor," according to the U.S. National Institute on Deafness and Other Communication Disorders. 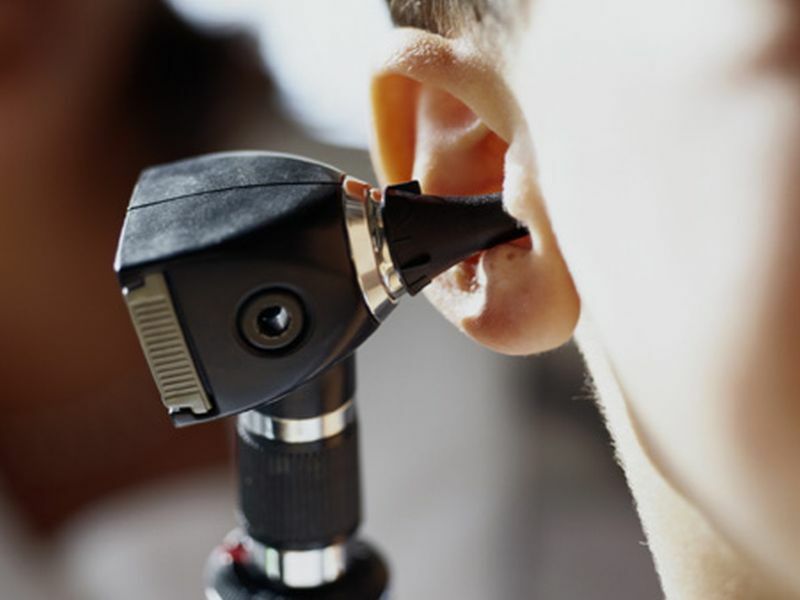 These bacterial infections -- called otitis media -- typically start in the middle ear, and 5 out of 6 kids will develop at least one ear infection by the time they turn 3. In the new study, Minami and colleagues wanted to see what role the ear's microbiome might play in these outbreaks. To do so, they took swab samples of the middle ears of 155 children and adults who were having ear surgery due to recurrent ear infections (88 cases) or some other condition. Among patients with a history of ear infections, the researchers found significant differences in the makeup of microbial communities for people with active ("wet") or inactive ("dry") inflammation. In fact, people whose ear infection was dormant "had similar middle ear microbiomes as the normal [no ear infection] middle ears group," the researchers said. On the other hand, the researchers found that people with an active ear infection had bacterial communities that differed widely from those of people not suffering such outbreaks. The bottom line, Minami's team said, is that "the human middle ear is inhabited by more diverse microbial communities than was previously thought. Alteration of the middle ear microbiome may contribute to the [cause] of chronic otitis media with active inflammation." Dr. David Hiltzik is an otolaryngologist at Staten Island University Hospital in New York City. Reading over the study findings, he said that "as physicians, we continue to learn how the microbiomes in our bodies affect us." But Hiltzik stressed that this work is in its infancy, and only further research will reveal "how these findings can assist us going forward in the treatment of ear infections." For her part, Jan agreed that the study raises many new questions. "Are specific bacteria causing wet, dry, or active inflammation? Or are different people genetically predisposed to be 'wet' with chronic ear infections, which then allows certain kinds of bacteria to grow in the middle ear?" she said. "Unfortunately, we still have a lot to learn." The findings were presented earlier this week at the American Academy of Otolaryngology - Head and Neck Surgery annual meeting, in Chicago. Findings presented at medical meetings are typically considered preliminary until published in a peer-reviewed journal. There's much more on ear infections at the U.S. National Institute on Deafness and Other Communication Disorders.